I found this recipe on Pinterest when I was searching for ways to use up some leftover buttermilk that I had from another recipe. It needed a few alterations (most importantly, I noticed that the original recipe did not include any cinnamon – gasp! ), but I will DEFINITELY be making this recipe again! It came out perfectly moist and sumptuous, plus the nuts were a great little tangy surprise in every bite. 5 stars! Heat oven to 350°. 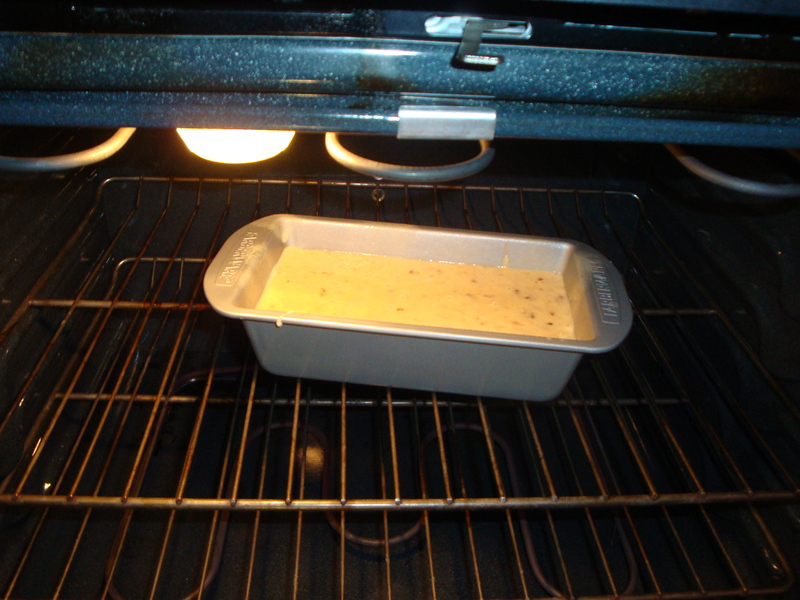 Coat a 9″ x 5″ x 2 3⁄4″ loaf pan with cooking spray (I like to use the one specially made for baking because it also has flour in it); set pan aside. Add nuts and mashed bananas and whisk gently to combine. Pour batter into prepared pan and bake until golden brown and a toothpick inserted in the middle of the loaf comes out clean, 60–65 minutes. Let cool for 30 minutes before slicing and serving. I found that this recipe paired amazingly well with my Homemade French Vanilla Ice Cream! Make sure the bread is warm so it makes the ice cream nice and melty. 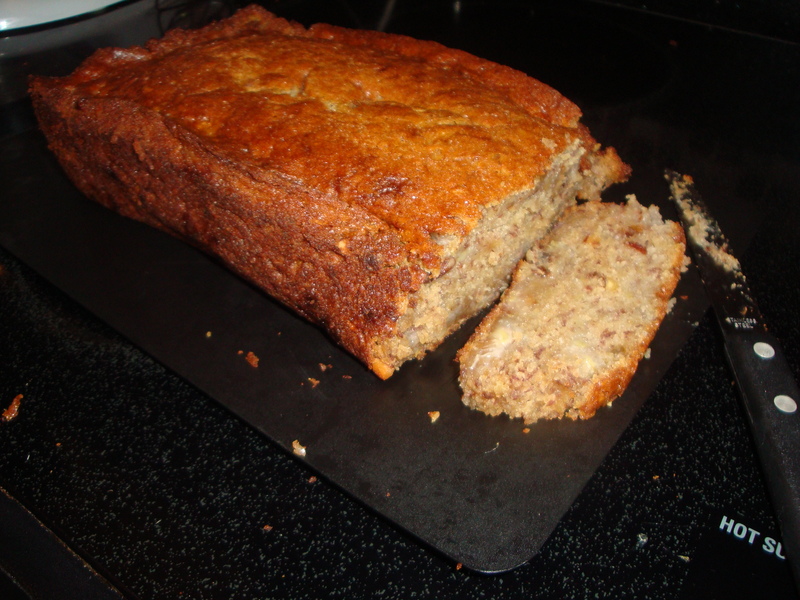 Posted on September 17, 2013 by Jilly G	• This entry was posted in Recipes and tagged baking, banana, bread, buttermilk, french vanilla, ice cream. Bookmark the permalink.